Just how high can cable go? With that strong rally from last week, this pair sure seems unstoppable! However, it appears to have encountered a roadblock at the 1.6150 area of interest which acted as resistance in the past. 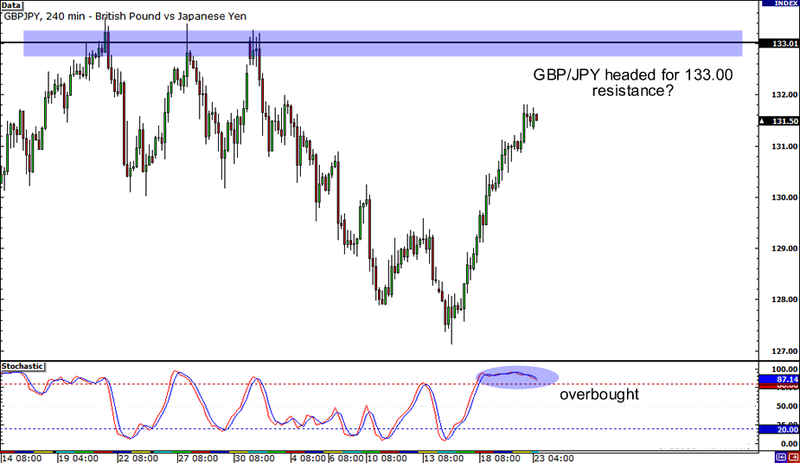 At the same time, stochastic is almost in the overbought area, hinting that pound bulls might need to take a break. 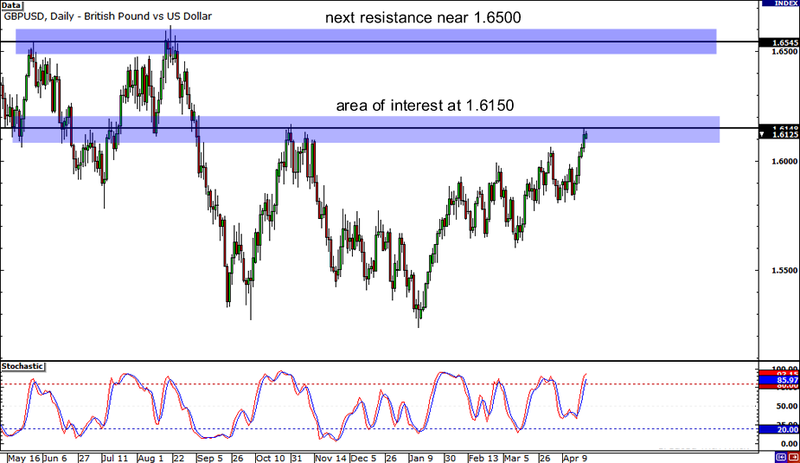 If the pair’s rally is still strong enough to break above 1.6150 though, it could be headed all the way up to the next resistance level at 1.6500. 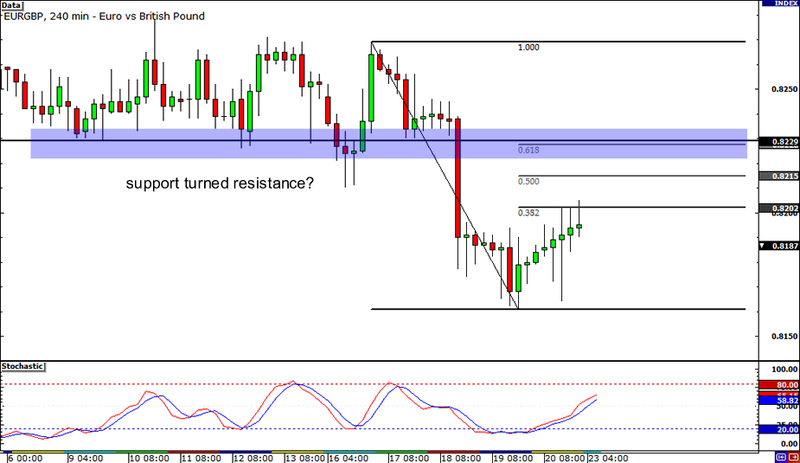 If you’re hoping to catch the pound rally on a retracement, then this setup could be for you! After breaking below the support level around .8230 and dipping close to the .8150 minor psychological level, EUR/GBP looks ready to pull back up to any of those Fib levels I drew. Stochastic is also crawling out of the oversold zone, which means that the pair could be headed north for the meantime. Keep a close eye on the 61.8% Fib in particular as the broken support at .8230 lines up with this level and could force EUR/GBP to resume its drop. Check out how ridiculously overbought this pair is! Well, that’s no surprise considering it climbed by nearly 500 pips from last week. However, judging from GBP/JPY’s 4-hour time frame, it looks like the pair still has some room to climb as the next level of resistance is at the 133.00 handle. If pound bulls still have enough energy, they could take the pair all the way up to 133.00 or beyond! But if pound bears take over and stochastic slowly makes its way out of the overbought region, we could see this pair’s rally fizzle.